Designing custom kitchen and storage spaces to fit your needs. The Kitchen Center works with you, the homeowner, to match your style to your kitchen and storage needs. We pride ourselves in working with homeowners to help achieve a functional, beautiful kitchen design that will last a lifetime. Whether it be for remodeling or new construction, we can walk you through the process of designing a stylish and easy-to-use kitchen. Whether your style is a rustic cabin retreat, or a hotel-spa feel, we can work with you to achieve an aesthetic that matches your preference. Maximizing space in small areas such as closets, garages and built-in areas next to a fireplace are all part of what we do at The Kitchen Center. 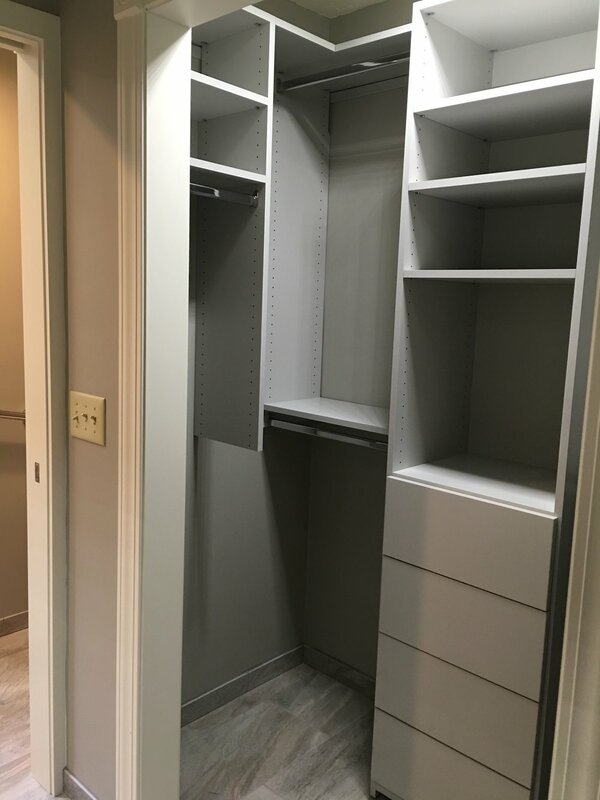 Using the latest design software we can help you plan and visualize custom storage systems that match your aesthetic and functional needs. The workhorse and finishing touch of a kitchen is the countertop. From the utilitarian rolled formica countertop to the durable elegance of quartz, we can help you identify the right surface for your needs and handle all aspects of measuring and installing it.